Turn grammar lessons into a pleasure with this guide and gain the expert knowledge you need to be able to teach the essentials of English grammar confidently. You’ll cover the basics of English grammar at Elementary and Pre-intermediate levels using The Grammar Guide. 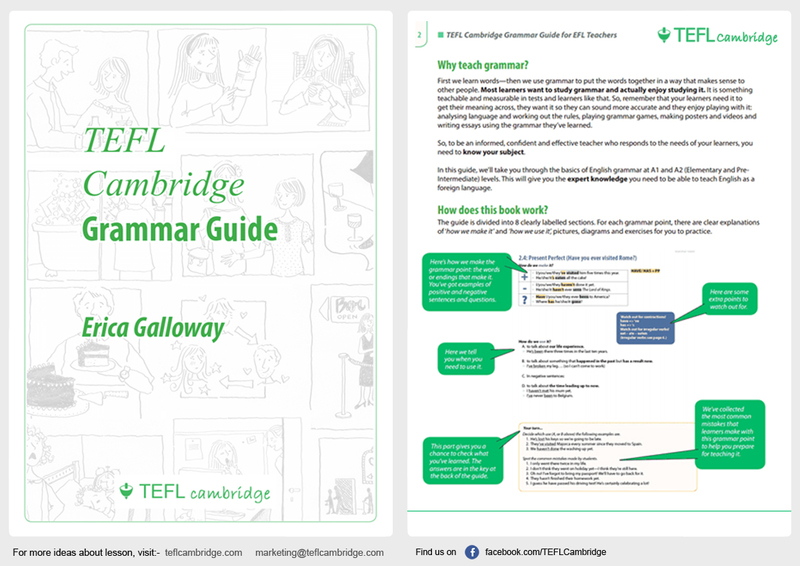 The guide uses ‘how we make it’ and ‘how we use it’ sections for each grammar point in the downloadable resource. Included is also a section that displays the most common mistakes that English learners make with grammar points, this will help you to be more prepared when teaching it.